Datum Point Construction Ltd - Builder, Driveways/Patios/Paths based in Ware, Hertfordshire. 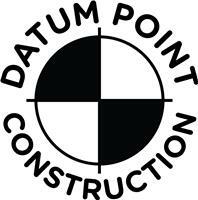 I would like to take this opportunity to introduce you to my company, Datum Point Construction. We are a Construction company that live to exceed all expectations of us and we ensure all works completed are to the highest possible standard. We employ in-house quantity surveyors for all of our estimating free of charge to the client to ensure the client always has full transparency of what is being quoted and what they can expect. So does that include ALL types of construction works? Referrals constitute a large proportion of new business due to our reputation for delivering cost effective solutions; ensuring safe workmanship and timely completion without compromising on quality. For a free quotation or consultation regarding any construction project, large or small, please do not hesitate to contact me directly.